Get the job done with business-ready desktops offering superb value with strong performance, exceptional security and easy serviceability. Power is a priority: With 8th generation Intel® Processors, every task is a breeze. Smooth sailing: With support for up to 32GB of the latest 2666MHz DDR4 memory, you can expect smoother performance than ever before. Stronger signal: Improve wireless performance with the latest 802.11ac Wave 2 Wi-Fi. Stay connected at a greater distance from your router and deliver top Wi-Fi speeds for faster streaming. 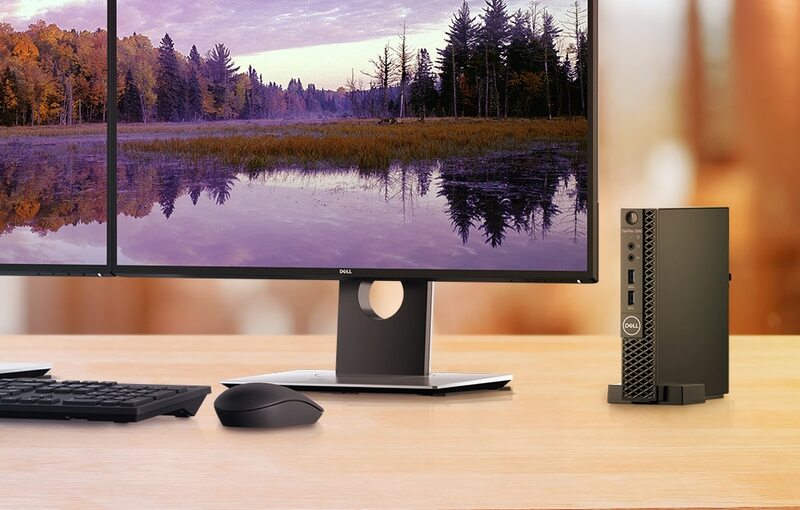 Seamless connectivity: Work confidently with smooth connectivity thanks to plenty of port options, including DisplayPort, HDMI, VGA or serial port. 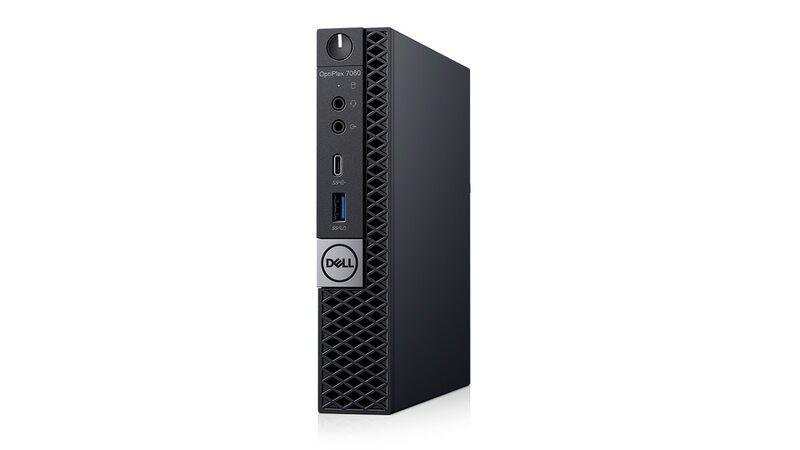 Because security starts with best-in class hardware, the OptiPlex micro features TPM 2.0 and a chassis intrusion switch. Add custom cable covers and a security lock to protect your investment. Plus, Dell Data Security offers comprehensive threat protection from end-to-end, so you can focus more on your work and spend less time worrying about your system. 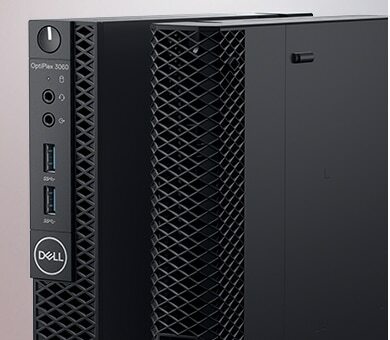 The Dell Client Command Suite automates and streamlines system deployment, configuration, monitoring and updates and is free on all Dell commercial PCs. Optional Intel® vPro™ technology available on OptiPlex 7000 series and XE3, allows for remote and advanced out-of-band management capabilities. Your system will withstand real world conditions thanks to a durable, built-to-last chassis that’s undergone MIL-STD 810G testing. A simple removable side panel allows for quick system access to easily upgrade and replace components like storage and memory, making your PC viable for years to come. Hard Drives (HDD) 256 GB SSD SATA 2.5"
Warranty DELL - 3 YEAR NEXT BUSINESS DAY ON SITE WARRANTY (On-Site Service After Remote Diagnosis2 is designed to deliver convenient and timely warranty repair).